As part of the preparation for WFS and APF events in Toronto at the end of July, I’ve gathered together a number of resources that are relevant to sessions I’m taking part in. There are obviously other resources on the other three sites I administer, but I thought it useful to assemble some of the most relevant items in one place. They are filed on the Toronto Resources page under: Education Bootcamp, APF, ‘Megacrisis’ session, Bio and Other Items. 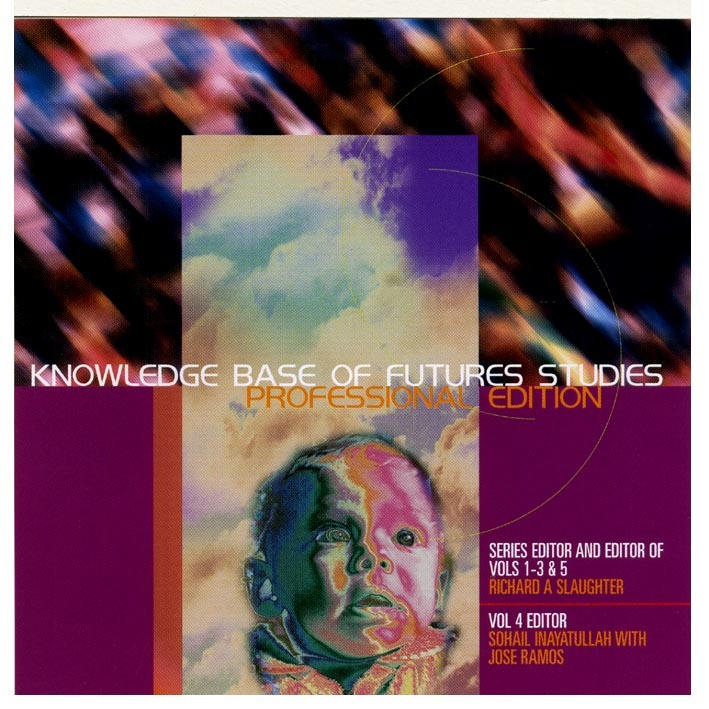 I’ve just put links to two clips of this short video from 1996 on the Futures in Education page, along with an introduction and paper that tells the story in a little more detail. Briefly, I was involved in designing and implementing a new upper secondary school subject called Futures – Personal, Social, Global. The subject was successfully trialled in a number of Queensland schools and the early evaluations were positive. But then the Board of Senior Secondary School Studies (BSSSS) was reorganised and, somewhere in the shuffle, the new subject was abandoned. I invite you to look at the clips, read the short paper and arrive at your own conclusions. 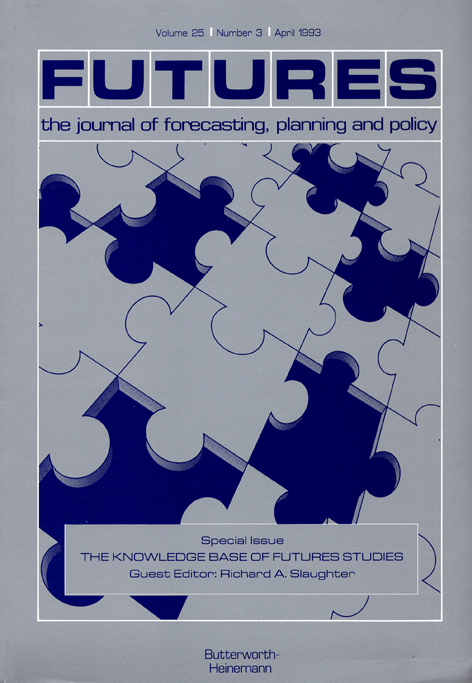 Partly as a tribute to Hedley Beare (see below) and partly because the issues raised in the earlier edition are at least as significant today as they were in the early 1990s, a revised and updated edition of this book can now be obtained from the FI site. 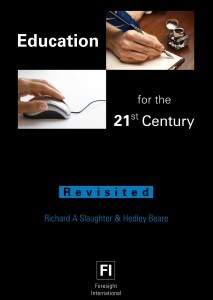 The book, which has long been out of print, has been re-constituted from original pre-publication files. Besides a new introduction it contains new figures and appendices. 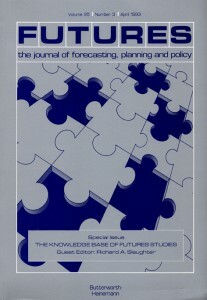 The latter includes three reviews of the original book, a brief rationale for futures in education, a short ‘op ed’ piece published in The Age newspaper, a personal tribute to Hedley Beare and, finally, a short reflection piece that considers the book in the light of subsequent developments.